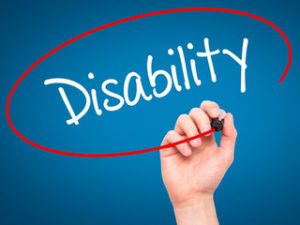 If you are filing for Social Security Disability Benefits, you will need to prove that you are unable to work as a result of a severe physical and/or mental medical condition(s). The Social Security Administration uses the following 5 step sequential evaluation process in determining whether you are disabled. Step 1- Is the individual engaging in Substantial Gainful Activity (SGA)? If the individual is working and the earnings are over the Substantial Gainful Activity (SGA) level, they will be found not disabled. If the individual is not working or the earnings are less than SGA, the adjudicator will go to step 2. Step 2 – Is the individual’s medical condition severe? An individual must have a medical determinable physical or mental condition (or combination of impairments) that is severe and has lasted or is expected to last at least 12 months or result in death. An impairment or combination of impairments is considered severe if it significantly limits an individual’s physical and/or mental abilities to do basic work related activities. If the individual’s impairment is considered not severe they will be found not disabled. If the individual’s impairment is severe the adjudicator will go to step 3. Step 3 – Does the individual’s impairment meet or equal the severity of a listing? Social Security has a listing of medical criteria for many medical conditions that are so severe that an individual would be found disabled if their medically determinable impairment (s) meets or equals one of the listings. If the individual does not have an impairment that meets or equals one of the listings, the adjudicator will go to step 4. Step 4 – Can the Individual do any of their past relevant work? Social Security will look at the individuals past relevant work (PRW) and will then review their functional limitations called the RFC (residual functional capacity). If the individual can perform their past relevant work, they would be found not disabled. If the individual, can’t perform their past relevant work, the adjudicator will go to Step 5. Step 5 – Can the individual perform any other work in the national economy? In determining whether the individual can do other work in the national economy, Social Security will consider the following: residual functional capacity (RFC), age, education and work experience. If the individual can make an adjustment to other work, they would be found not disabled. If the individual can’t make an adjustment to other work, they would be found disabled. There are medical vocational guideline rules that the Adjudicator will consider in some cases in determining whether the claimant should be found disabled. You will increase your chances of winning your Disability claim if you have an experienced Disability Advocate such as one from Disability Specialist Center, LLC represent you. The advocates at Disability Specialist Center can assist you with your application and appeal your decision if you are denied. The advocates will also research, review and submit the medical as well as the vocational and legal issues to the Social Security Administration.